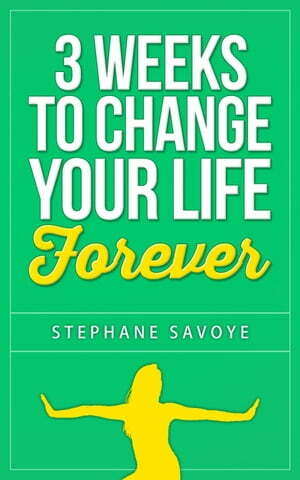 Collins Booksellers - 3 Weeks To Change Your Life Forever: 21 Habits To Incorporate Into Your Daily Life by STEPHANE SAVOYE, 9781386809111. Buy this book online. This program offers you the solution to make a difference in your health, wealth and happiness by taking on board a new small new habit a day. Nothing too drastic, easy does it. If you simply apply and assimilate these 21 habits, are really committed and stick with them, you WILL then move forward in all areas of your life.